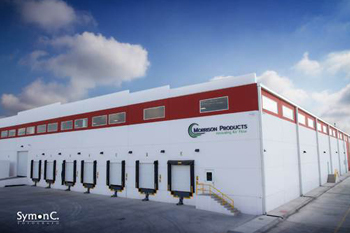 Morrison is dedicated to providing quality air moving equipment to HVAC&R markets around the world. This is accomplished through continuous improvement and ethical behavior while creating a challenging and rewarding environment for our employees, shareholders, suppliers and the communities in which we live. 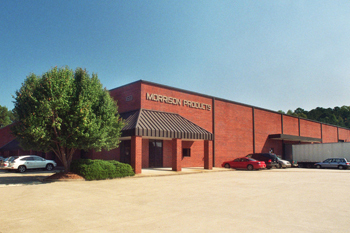 Morrison Products was founded in 1923 by Hunter Morrison, Sr., manufacturing a variety of stamped metal products that included metal containers and automotive parts. The company eventually expanded to a new product line, blower wheels, after the Depression of the 1930s. In 1962, Dan Holmes, Sr. acquired the assets of the company from the Morrison family and made several changes to improve profitability and insure a sound future. The most important of these was a strategic focus on the production and sale of air-moving equipment. Dan Holmes, Jr. and Harry Holmes joined the business in the 1970’s and successfully carried the business forward. Today, Harry Holmes remains as Chairman of the Board. Harry’s daughter, Megan Fellinger (President and CEO), and Dan Jr.’s daughter, Anne Schuerger (Senior Vice President), are responsible for day to day operations and strategic direction of the company. 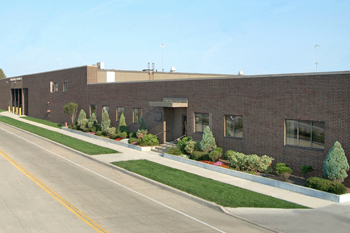 Morrison has facilities in Georgia, Texas, and Monterrey, Mexico as well as the original manufacturing site in Ohio. 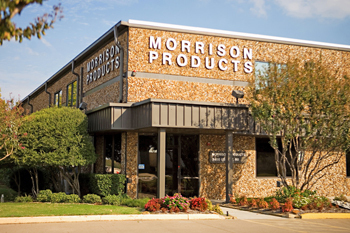 As a leading manufacturer of fans for the heating, ventilation and air-conditioning industry, Morrison Products is strategically positioned to ship product to its customers on a just-in-time basis.